Improve cognitive skills acquisition specifically language development and literacy in both Lummi and English. Improve social competence and emotional health for young children. Increase teacher and parent skills at handling children’s emotional moments. 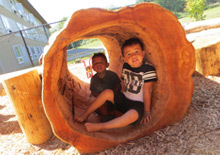 Improve early childhood teacher quality in the Lummi community through education and peer support. Bridge early childhood with K-3 education from Early Learning Center (ELC) to Lummi Head Start to Lummi Nation School and Eagleridge. 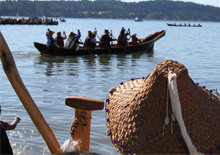 Integrate Lummi language and culture into curriculum development and instruction at ECE teacher preparation, birth-to-three, Head Start, and K-3 levels. Empower families and communities to act as agents of change in their children’s education. Listening to and supporting families as they advocate for their children’s educational excellence. The American Indian College Fund, through the Wakanyeja "Sacred Little Ones" - Tribal College Readiness and Success by Third Grade, is working to bring together tribal colleges, communities, educators, and families to address early learning disparities in Native communities. In 2011, four tribal colleges were selected through a competitive process to participate in the Wakanyeja ECE Initiative and received up to $935,000 over four years to develop and strengthen early childhood education programs at tribal colleges. 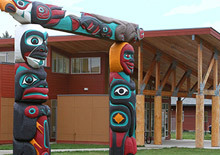 The Wakanyeja ECE Initiative grantees are: Ilisagvik College (Barrow, AK), College of Menominee Nation (Keshena, WI), Southwestern Indian Polytechnic Institute (Albuquerque, NM), and Northwest Indian College (Bellingham, WA).